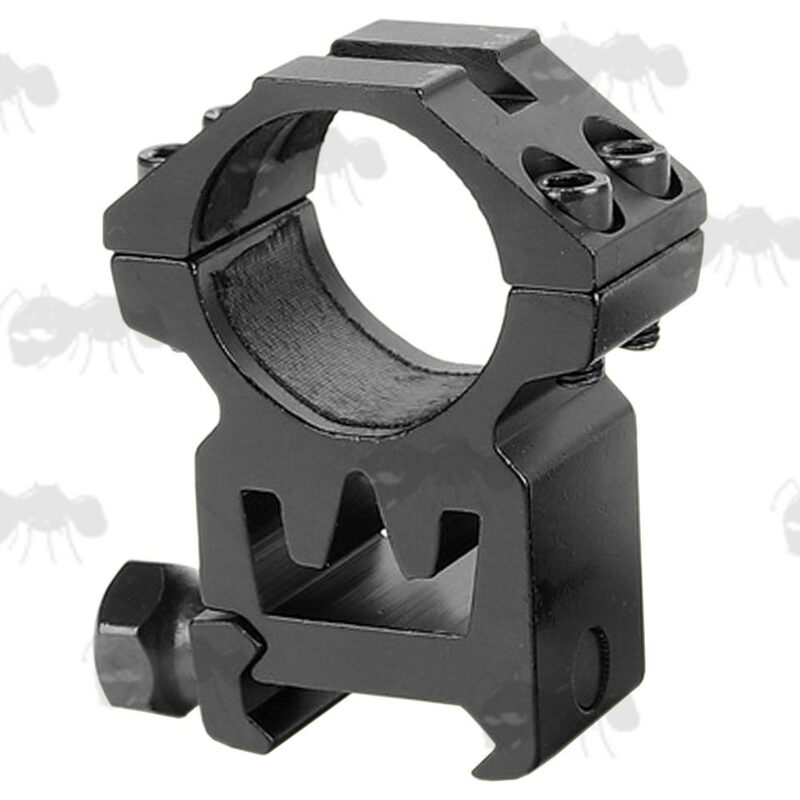 Pair of see-through channel heavy-duty scope ring mounts. 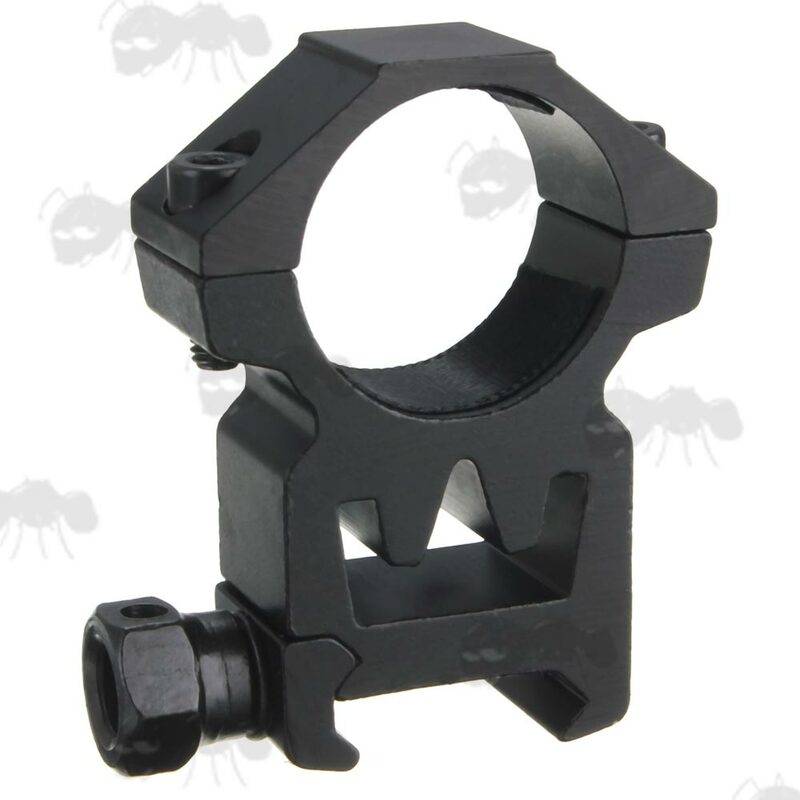 Overall height 53mm, width 41mm, thickness 16mm. 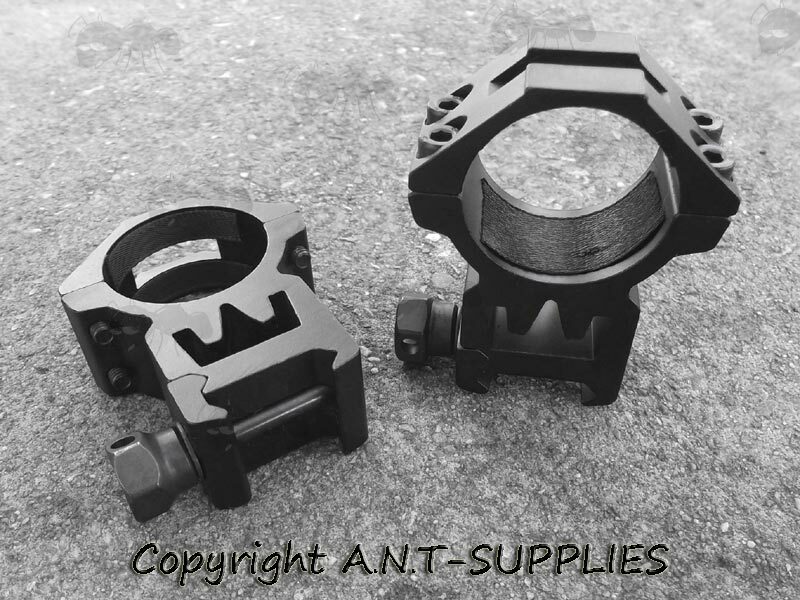 Overall height 53mm, width 40mm, thickness 21mm. 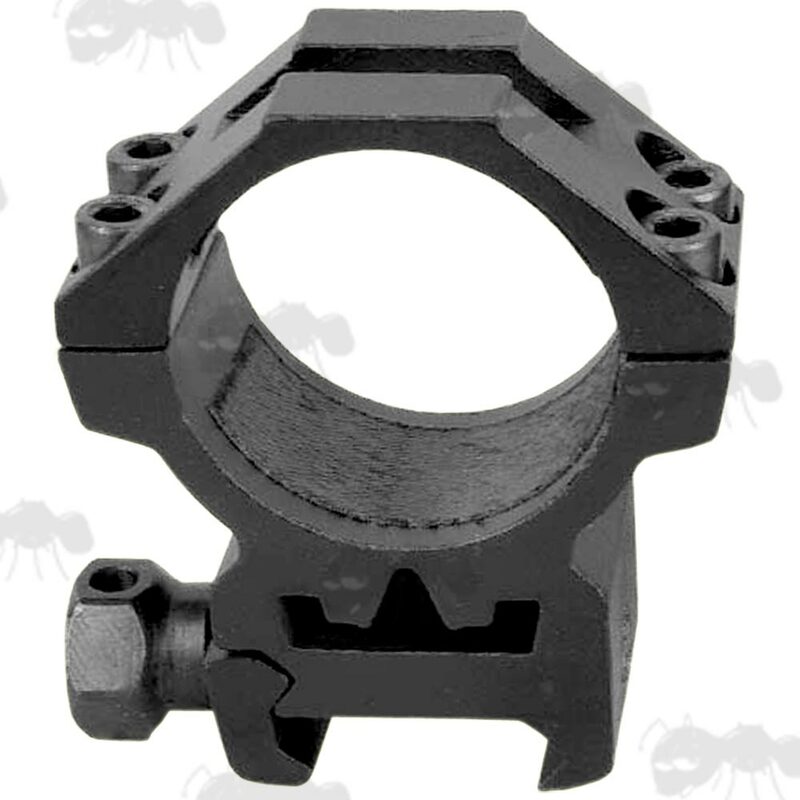 Overall height 47mm, width 40mm, thickness 21mm. Matte black finished aluminium construction with steel fittings. 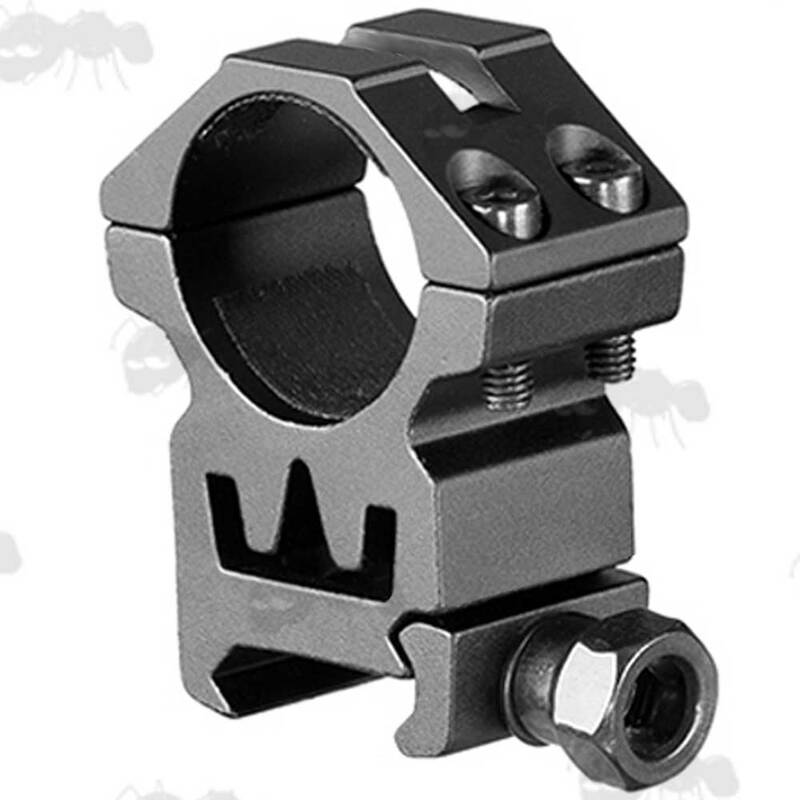 See-thru channels to still allow the use of manual sights. 20mm wide weaver / picatinny fittings. Quick-fitting extra-secure hex-head rail clamp bolts. Also available ~ round top double clamped weaver mounts.